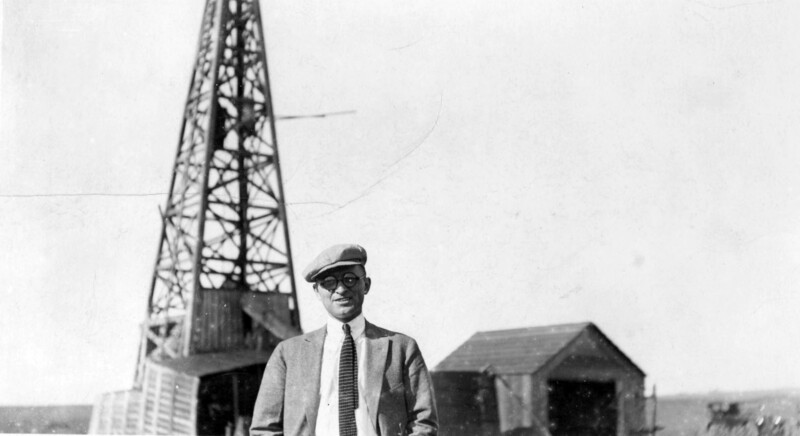 1919 was a big year for Eureka oilmen. 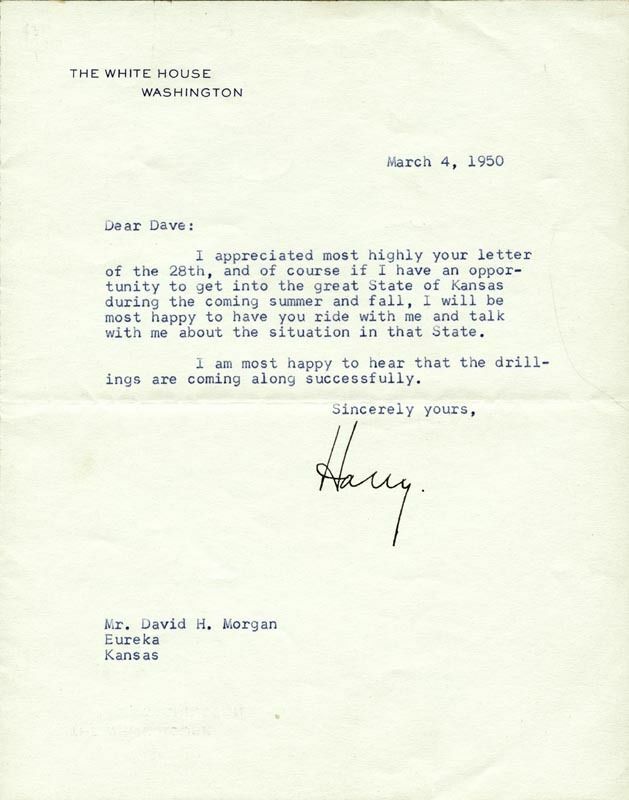 David Morgan wasn’t so lucky. 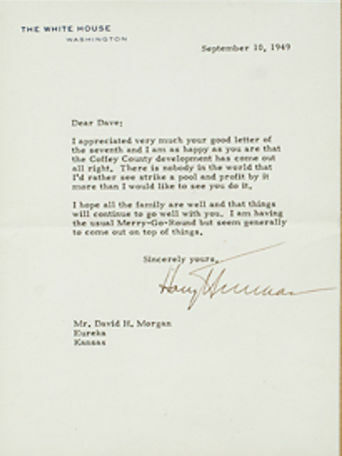 After David Howell Morgan received his law degree from KU in 1905, he and his new wife Pansy moved to Oklahoma to seek his fortune in oil, mining, and land. When his father died in 1911, he moved to Kansas City and quickly joined the social elite. He left his wife for a young model named Leonora West and hit all the important social gatherings. 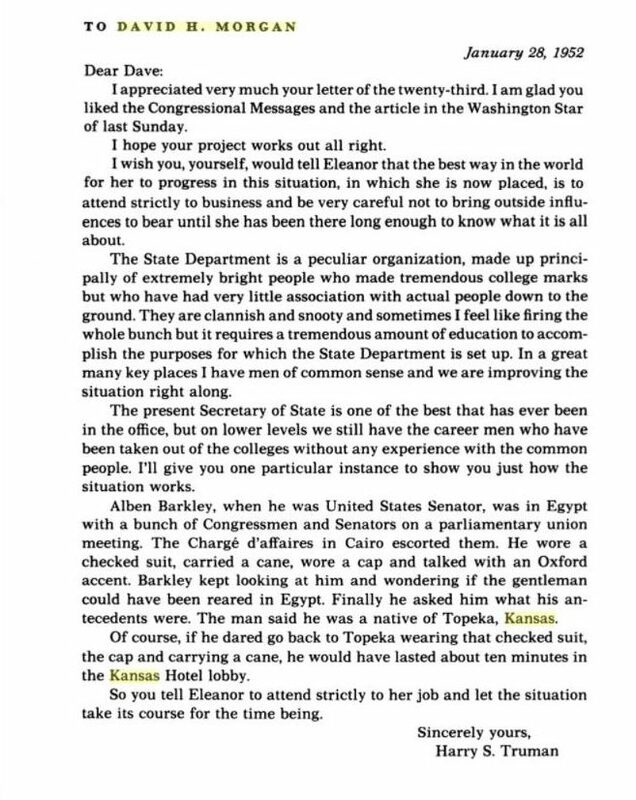 At one such event in 1916, he met Harry Truman, a local postmaster who had just lost a big stake in a failed zinc mining venture. 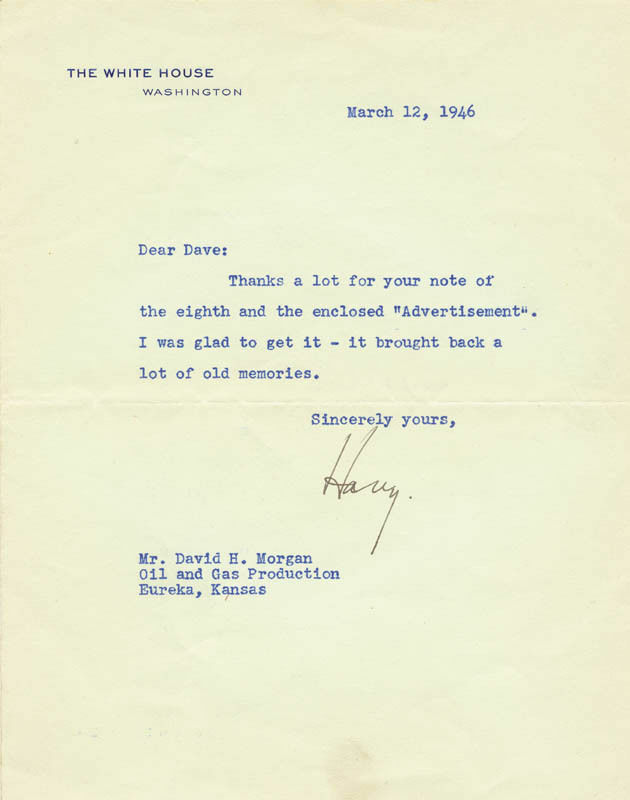 They became friends, and pooled their money to start Morgan Oil and Refining Company. Truman and his new wife Bess were on their honeymoon when they learned about their lost fortune. Morgan’s wife left him the next year and he resumed life as an oil and gas lawyer. 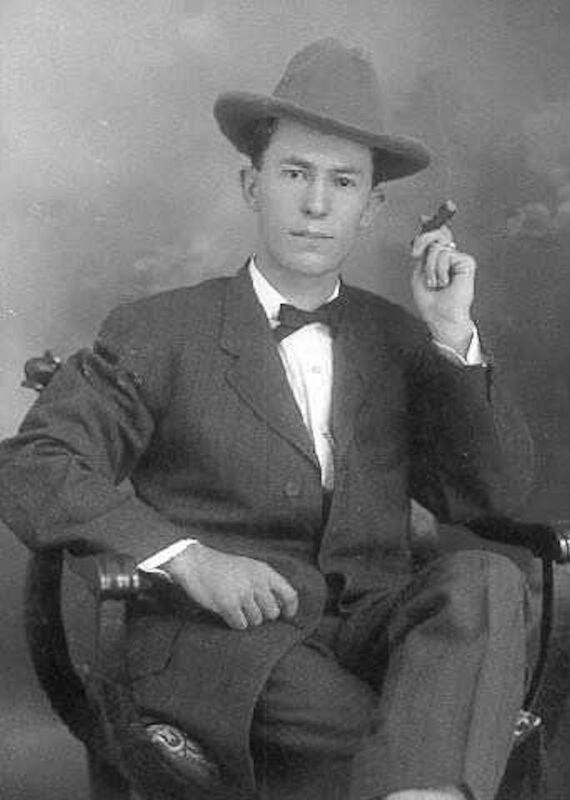 The following year, a law colleague named Arthur Banta was notoriously murdered in Great Bend, and Morgan married his widow Florence in 1923 and began slowly clawing out of debt. The Depression wiped him out again and he left his third wife to marry Lois McCord in 1929. 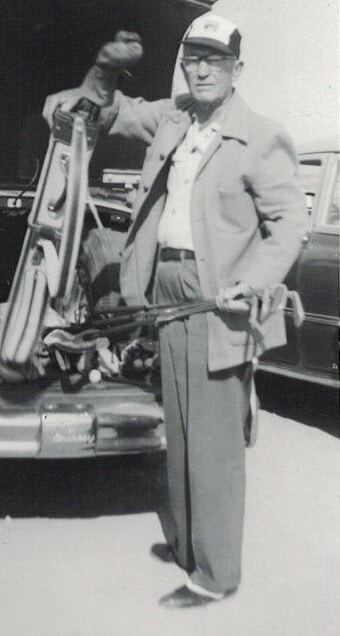 By 1936, he was drawn back to the Golden Lanes of the Greenwood County oilfield. He and Lois bought the Robertson House at 403 N Plum Street in Eureka, but soon faced foreclosure. 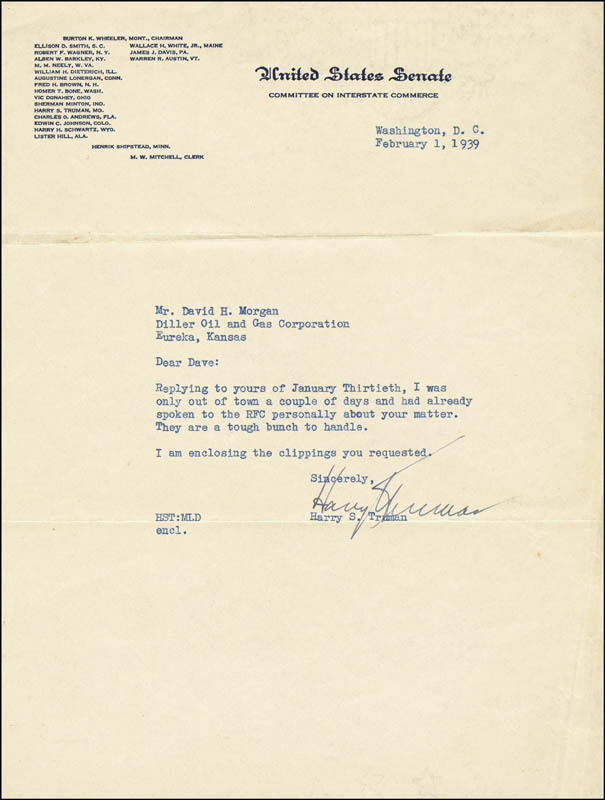 He sought help from his old friend, now Senator Truman, but his influence was not enough to stall the bank. 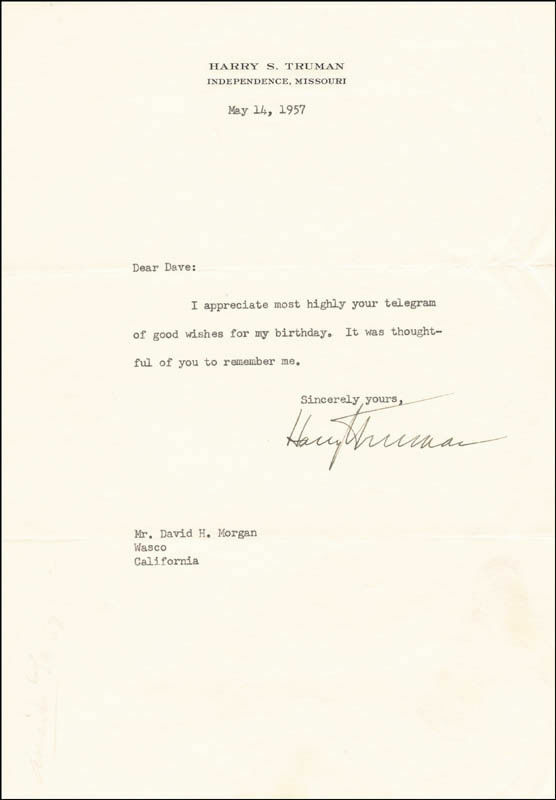 In 1939, the Morgans moved to a smaller home in Eureka, where he remained for the rest of his life, dabbling in the oil patch, golfing, and corresponding with his partner whose luck had improved considerably, President Harry S. Truman. 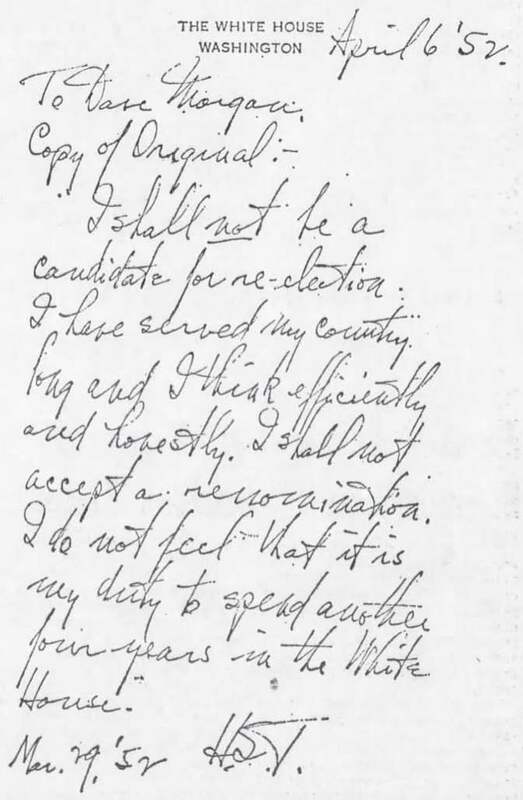 In his memoirs, Truman lamented that had they struck oil with the Morris #1 well in 1919, he would not have entered politics. David Morgan, a man unlucky in love and life, a man who lost everything twice, was only 1,000 feet from changing the course of world history in the lonely prairie highlands of Greenwood County.